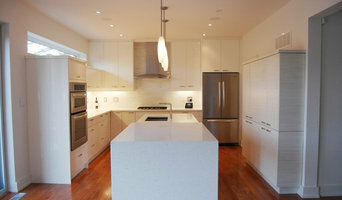 We create custom made kitchens and provide interior design services in Toronto and surrounding areas within Ontario. We work in all shapes and sizes and styles from traditional to contemporary designs. Our mission is to provide you with your dream space at an affordable price. We provide maximum results within your budget to make your place come alive! Serving homeowners and commercial clients in communities across Ontario, we work relentlessly to capture your vision and bring it to life. Every design reflects the unique tastes and specific requirements of the client. 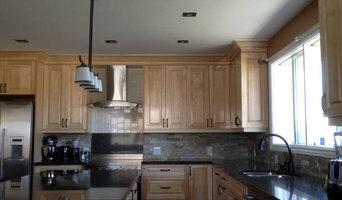 Design to Perfection Kitchen Concepts Inc. specializes in Kitchens, Bathrooms, and Renovations. All of our trades are professional, licensed and insured. From product selection through to installation, Design to Perfection strives to exceed your expectations. Our company is based on the belief that our customer's needs are of the utmost importance. Our entire team is committed to meeting those needs. We would welcome the opportunity to earn your trust and deliver you the best service in the industry. Please call us at (905) 664-9218 and arrange a appointment to let us "CAPTURE YOUR STYLE". Since 1965, Oakville Kitchen & Bath Centre has been designing kitchens and bathrooms for discriminating homeowners. 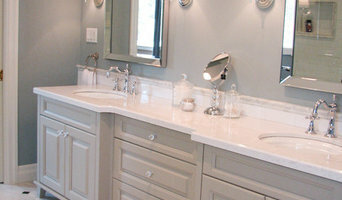 Products - We have chosen a full range of kitchen and bath products that will fulfill all your renovation needs. 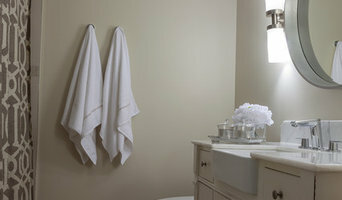 Featuring brand names like Artcraft, Kohler, Duravit, Zodiaq, Grohe, Toto and other fine products. Custom design, kitchen cabinetry and vanities. Full service consultation on countertops, tile selection, and renovation process. Family owned and operated, operating for 30 years at current location. REFACING - REPAINTING- REMODELING - RENOVATING Whether you need a budget kitchen renovation or a high-end luxury kitchen makeover, it pays to choose Savoy Kitchens By Design. You should choose us because of what our clients say and what we do. We turn your dream renovation into reality while extracting every dollar of value from your budget – and delivering a level of service unmatched by any other kitchen renovation company in Toronto. Simply put, we give you more WOW for your money. Give us any job and you will be amazed by how we transform a space into something that is not just beautiful, but also more functional. Even a small condo kitchen can look bigger with the right design choices. It is all about understanding the three Rs of kitchen renovations – remodel, reface, repaint. "You would be amazed by what's possible with the right application of the three Rs," says Les Freud, President and Founder of Savoy Kitchens by Design. Check our kitchen design reviews and you will see comments such as "attention to detail", "very happy with the kitchen", "respect that cannot be quantified in dollars". Even more telling is this personal endorsement of Les: "I can't believe the difference in the before and after. The before looks so small and terrible looking with the small opening between the kitchen and the living room. 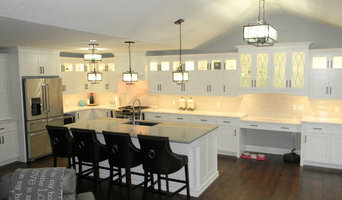 The new kitchen is a masterpiece – it is like what you would see in Homes and Gardens – Les, you did a great job." Remember to ask about our Micro Reno, available exclusively from Savoy Kitchens By Design. It's the perfect solution if you need a budget kitchen renovation or need help with the renovation of a very small space. Why settle for less? Learn more by giving us a call (416-723-7347) or visit our website (www.savoykitchenrenovations.com) and remember to ask for your free introductory consultation. As a full service interior design firm in Canada, our expert team offers over 50 years’ combined experience in kitchen, bathroom and interior design. Specializing in cutting-edge design styles which combine the latest trends and technology with comfort and practicality, we deliver spaces that are welcoming, functional and transformative. By focusing on understanding the needs of each of client, we deliver bespoke spaces that are tailored to meet their unique requirements, tastes and lifestyle. Lead by Jessica Bélanger, our team has a reputation for attention to detail and exceptional client service, as well as uniquely beautiful designs – a reputation that has been acknowledged and showcased in numerous television and magazine publications. Key to our success is our state-of-the-art design process which outlines each step of the project, from concept to 3D colour sketches (complete with input from experts and clients) that is created before the installation of the final design. This allows clients to fully visualize each element of the design, discuss it and fully explore it before any changes are made to the space. To find out more about our design services and process, available in Oakville, Toronto, Montreal and surrounding areas, please contact us for a free consultation. SplashworksKB - We've Evolved! Imagine a service that covers ALL aspects of your project. At SWKB, that’s what you get! From concept to completion, we take you through every step of the renovation process, and handle all facets of the project. By working with us, you won’t have to source designers, obtain permits, hire carpenters and screen tile setters. And you won’t have to visit product showrooms repeatedly for the next six weeks. We handle absolutely everything for a completely turnkey renovation of your kitchen and bathroom or addition, and only require one additional visit to the showroom after the presentation, to pick materials. With over 25 years of Kitchen and Bath renovation experience, you can rest easy knowing that absolutely everything will be taken care of, and your project will be a stunning, custom design. Valleau Custom Woodworking is a custom cabinetry shop that designs, builds and installs one-of-a kind quality, customized cabinetry for your home. It is owned and operated by John Valleau. Best of Houzz Award Winner for Customer Service in 2018! Best of Houzz Award Winner for Design and Customer Service in 2017! Raywal Cabinets have been creating one-of-a-kind kitchens and living spaces for more than 60 years in North America. We are dedicated to manufacturing beautifully designed and expertly constructed products for our customers. Raywal Cabinets is recognized for quality construction, exceptional furniture-quality materials and proven reliability. Our state of the art manufacturing facility, equipped with the latest technology and expertly trained staff, ensure that our products are of a consistent high-standard. With thousands of door style, species and finish combinations available, and a wide array of practical storage and organizational solutions, our customers enjoy the flexibility to tailor each space to fit their individual wants and needs. Raywal Cabinets strives to provide beautiful innovative and affordable products that easily transform and home into an elegant, warm and inviting space. Give us a call today, to see how we can design your dream kitchen - (905) 760-0413! Since 1995 APICO has built a reputation for creating quality custom cabinetry for a discerning clientele. We have always been dedicated to exceptional quality and reliable service. We boast a wide selection of style, colours and finishes. Our experienced in house design team thoroughly works through every detail with Homeowners, Architects, Designers, Renovators and Builders, to deliver a truly beautiful finished product in a timely and professional manner. Our corporate environmental responsibility mandates us to use the best eco friendly products available. APICO maintains an in house production in order to control the quality of materials such as wood, Paint, Hardware, European hinge & drawer systems and Craftsmen that are proud to produce Canadian products. We would be thrilled to receive you in our showroom and provide you the exciting experience to feel, touch and excite your visual sense with our unique products, designs and colors. We look forward to assist you in finding your unique and exquisite products and services from our wide selection of door styles, more than 55 stain and lacquer colours and numerous wood species. We would even go that extra mile to finish and customize every square inch of your selected product. Thank you in advance for dropping in at www.apico.com or in person, so that you can witness the work and professionalism that we love to share with our customers.